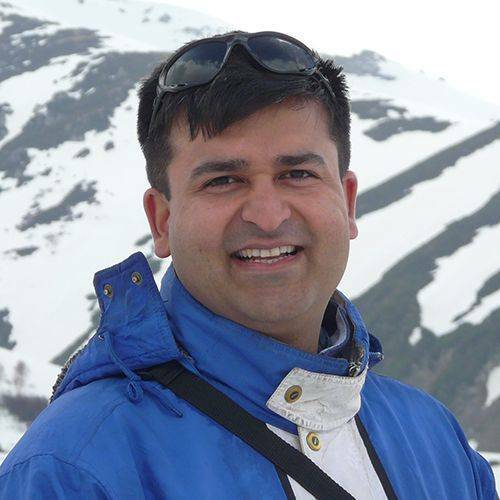 Wildlife travel expert Naturetrek has over 20 years’ experience leading Tiger watching holidays to the Indian subcontinent, with a 100% record of success on our top tours. Arguably one of the most iconic species on the planet, this enigmatic big cat is a symbol of natural perfection. 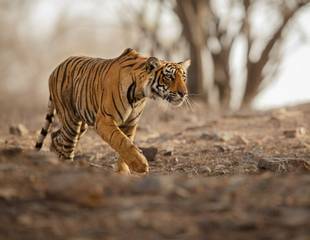 The opportunity to observe the animal in its natural habitat on a dedicated Tiger watching tour is at the top of many people's wildlife wish lists. With over two decades’ experience leading Tiger safaris in the Indian subcontinent, Naturetrek offers the widest range of itineraries available. 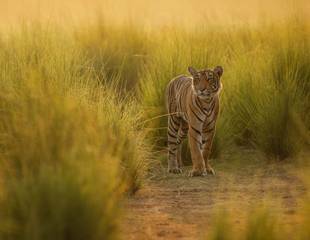 We visit some of the most wildlife-rich reserves in the Indian subcontinent. Accompanied by the best local naturalist guides and enjoying the security and enjoyment of small group travel, participants enjoy the ultimate thrill of encountering these magnificent wild animals in their own environment. As the leading operator of natural history tours in India, Naturetrek has a long and proud tradition of enabling clients to experience the very best wildlife viewing opportunities in the subcontinent. Over the past two decades, many hundreds of nature lovers have enjoyed the benefits of our renowned small group itineraries to gain multiple sightings of this beautiful animal in the wild. 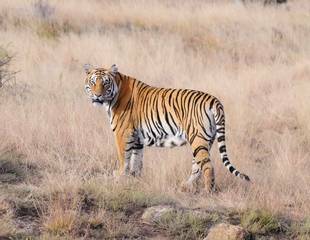 Our professionally-organised tours encompass some of the most wildlife-rich reserves in India, including Pench, Kanha, Bandhavgarh and Panna National Parks, as well as the option to include a visit to Ranthambore National Park. Our expert naturalist guides provide the best opportunities for sightings of a wide range of species in these spectacular natural environments. 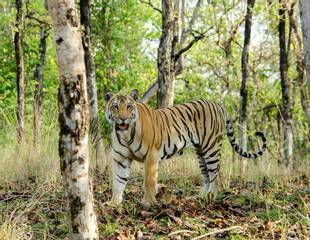 Optional extensions on some tours grant you access to two other fantastic National Parks: Tadoba and Satpura. 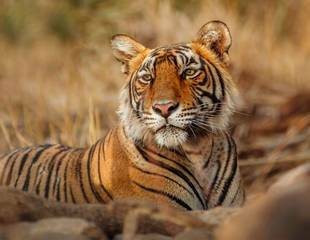 Tadoba is an excellent Tiger watching destination, while at Satpura many guests are lucky enough to observe Leopards and Sloth Bears, as well as participate in night game drives. 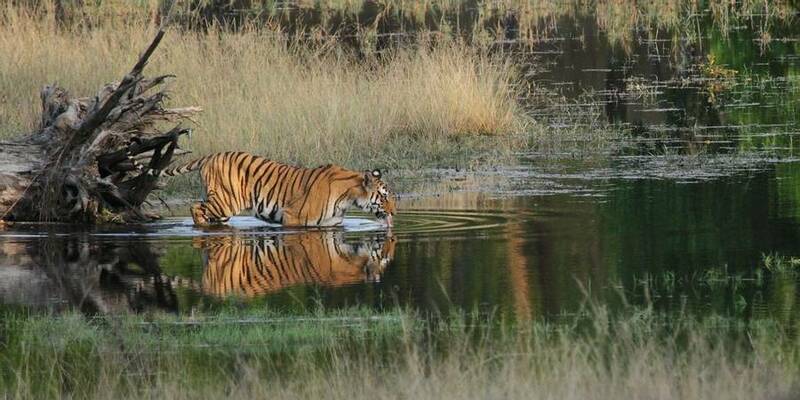 What can I expect on a typical Naturetrek Tiger holiday?